Inspired by Dooyeweerdian philosophy and in dialogue with different groups of engineers the Triple I model for design problems has been developed. It offers a vocabulary to deal and unravel the ‘complexity’ of modern technological systems, propose methods and techniques to understand the nature of an innovation. The ‘I’ of ‘intrinsic’ refers to the inherent normativity of the user practice, the ‘I’ of ‘inclusive’ to the presence of justified interests of different stakeholders, and the ‘I’ of ‘idealistic’ to the values or dreams that play a role. The time in which one single engineer could develop a whole product all alone is gone. Nowadays, engineers work in multidisciplinary teams and have to communicate with many stakeholders. They often lose the overview and do not understand anymore the ‘complexity’ of the functionalities of the integrated design. In practice, engineers work with simplified models resulting at best in inadequate solutions and at worst in big disasters. It is therefore of utmost importance that design tools are developed that do justice to the intricate relation between ‘man, technology, and society’. 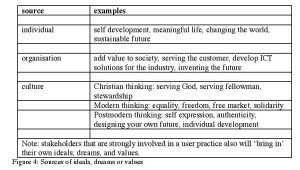 In the last decade, the use of Dooyeweerdian philosophy for technology has been widely discussed (De Vries, 2006; Strijbos & Basden, 2006; Verkerk, Hoogland, Van der Stoep & De Vries, 2007; Basden, 2008; Van Burken & De Vries, 2012). These studies show a certain potency of this philosophical tradition for making a valuable contribution to the practice of engineers. It is generally agreed that in particular three elements are important for the field of engineering: a) the theory of modal aspects supports engineers to understand the multi-sidedness and intrinsic normativity of their designs, b) the idea of qualifying function is of utmost importance to do justice to the nature of a technological design, c) and cultural values or ground motives play an important role in designing technology. There is no doubt, however, that still a lot of work has to be done to realize this promise. This paper aims to stimulate further discussions about how to make Dooyeweerdian philosophy available for engineers. It reports about the experiences of the author on his dialogues with engineers that resulted in the Triple I model. For a philosophical contribution to the mindset of engineers three challenges have to be met. First, the model has to be presented in an appealing way for engineers. [iii] Theoretical richness and engineering clarity have to be integrated in self-explaining drawings and heuristics. Second, the model has to guide engineers in dealing with and unraveling the complexity of technological designs, identifying normative moments in designing new products, and understanding how values guide their creative design processes. Third, the model has to focus on the organizational context in which technological innovations are used. This article has the following set-up. Section 2 tells the story of two groups of engineers that developed philosophy-based tools to design ‘complex’ systems. These stories describe the state of the art in the field, the problems to cope with complexity, and the catch ball process to translate philosophical Dooyeweerdian concepts in engineering tools. Section 3 integrates the results of these two groups and other groups in the so-called Triple I model. Section 4 presents some additional tools. The paper ends with some conclusions. This section tells the story of two groups of engineers in which a philosophy-based toolbox for engineers was developed. One group focused on tools to design the electrical system of the future and the other one on tools to design long-term housing for elderly with dementia. These groups worked parallel to each other and there was no interaction between these groups. Every group had its own problems and own dynamics. The only ‘linked pin’ was the author of this article. In 2008, I met Dr. Paulo Ribeiro, an eminent electrical engineer, at the time professor at Calvin College (Grand Rapids, USA). Dr. Ribeiro’s main research topic is electrical energy infrastructure of the future. In the coming decades, our energy systems will change strongly. It is believed that large scale power plants will be complemented by a large number of small scale energy generation units; amongst others, individual households will generate solar or wind energy. It is also believed that intelligent systems will be used to more comprehensively communicate, control, protect and balance supply and demand of energy. The whole system of central and local energy generation, transmission and distribution, and enabling intelligent control and information systems is called a smart grid. Smart grids will be integrating micro grids (local systems) and super grids (high voltage transmission and bulk generation systems). Figure 1 illustrates the new concept of smart grids and the functional relationship among the different subsystems and technologies. The bulk generation, transmission, distribution and customers are directly and electrically connected and are themselves linked via communication systems with the Markets, Operations and Service Providers. 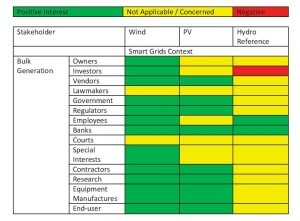 The most important characteristics of smart grids are described by the European Commission (2010) and the European Electrical Grids Initiative (2010). 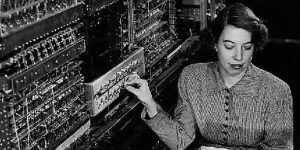 During an extensive discussion Ribeiro sighed: ‘It is impossible for an engineer to take the “full complexity” of these systems into account. I only have reduced models resulting in reduced designs that for their part result in sub-solutions and even wrong designs.’ He underlined his sight with reference to a report of the European Commission (2011) that concluded that it is very difficult to grasp technological and non-technological key characteristics of the electrical system of the future. 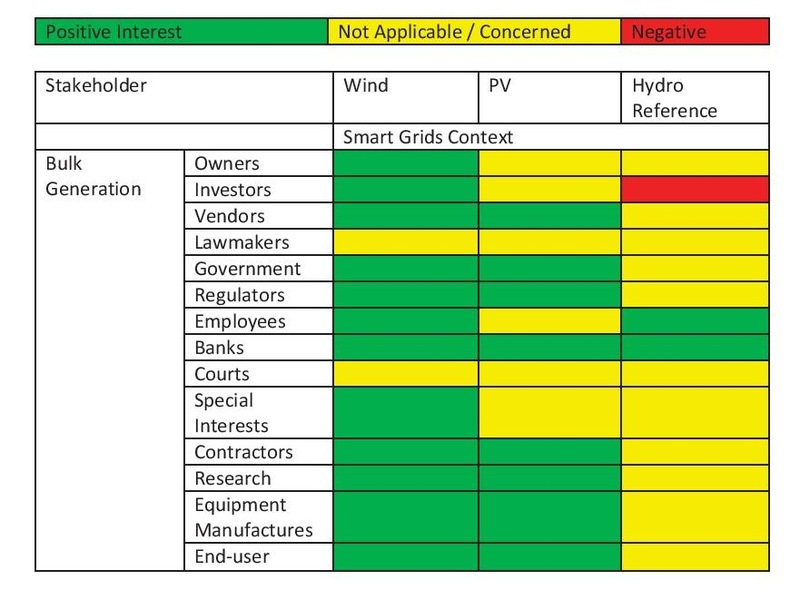 Especially, this report showed ‘a lack of specific attention to the social implications of Smart Grids.’ This conclusion also has to be understood from the economic interests in this field. At this moment, grid project investments in Europe currently amount to over 5 billion Euros and are estimated to reach 56 billion by 2020 (Pike Research, 2011). Dr. Ribeiro’s complaint about the reduced models resulted in a challenging question: ‘Can Dooyeweerdian philosophy support me to understand the “complexity of this type of systems” and to support me to design better systems?’ I should mention here that in our conversations Ribeiro honestly showed his disappointment about the value of this philosophy for his scholarly work. E.g. a study produced at Calvin College by Monsma et al. (1986), Responsible Technology: A Christian Perspective, has in his opinion not succeeded in bridging the gap between Dooyeweerdian philosophy and the daily practice of engineers. 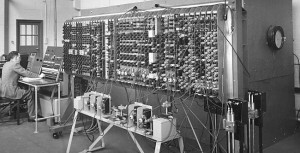 Anyhow, Ribeiro’s challenge marked the start of an intensive cooperation between two engineers (Ribeiro, Polinder) and one philosopher (Verkerk). On the one hand, it was believed that philosophy would offer theories that could cope with ‘the complexity of these systems’ and that also could guarantee (a certain degree of) completeness. On the other hand, it was believed that a catch ball process, in which ideas are thrown and caught back and forth between the participants, was necessary ‘to translate’ philosophical theories in engineering tools. This process resulted in the article ‘Planning and designing Smart Grids: Philosophical Considerations’ in the IEEE journal Technology and Society. In 2010, I was one of the members of the committee that had to judge the quality of the thesis Aging-in-place. The integrated design of housing facilities for people with dementia of Joost van Hoof (2010). One of the challenges of this research was to develop an integral model to design housing for elderly with dementia. The doctoral student had solved this problem by combining two existing models: the International Classification of Functioning, Disability and Health (ICF-model) and the Model of Integrated Building Design (MIBD-model). Basically, the combination of these two models was already a breakthrough in thinking: it recognized the importance of insight in the medical background to design housing facilities for people with dementia. Let’s first review the state of art in this field. The design of buildings is a complex and dynamic process. The overall complexity is strongly increased when the design process concerns buildings for specific user groups with non-standard requirements. For example, the design of long-term facility for older adults with dementia requires an interdisciplinary dialogue involving medical disciplines, care professionals, and patient associations. In addition, the design of the building should also take into account the standard requirements of an adequate operation and cost-effective maintenance. It is a challenge for the architects and consulting engineers to capture these needs in a single design. Ideally, the design of buildings in which care or medical treatment and interventions take place, should also be in compliance with evidence-based practice (Ulrich et al., 2008, Huisman et al., 2012). Various researchers have proposed theoretical or conceptual frameworks linking different built environment characteristics to health outcomes or to capture the current domain of evidence-based design in healthcare (Zimring and Bosch, 2008; Durmisevic et al., 2010; Ulrich et al., 2010). These models all capture a different part of the complexity and, thus, reflect a part of reality. Durmisevic and Ciftcioglu (2010, 101) acknowledge this complexity: ‘[N]ew knowledge in evidence-based design adds continuously to complexity (the ‘information explosion’), and it becomes impossible to consider all aspects (design features) at the same time, much less their impact on final building performance.’ They conclude that there is no adequate methodology to deal with different environmental aspects in a holistic way. A couple of months after the ceremony I had an intensive discussion with Joost van Hoof about his model. I asked him two questions: ‘How do you know that the combination of two models leads to an “integral model”?’ and ‘How exactly do you relate the medical concepts of the ICF-model to the building concepts of the MIBD-model?’ His answer was as honest and as shocking: ‘I don’t know’. ‘And’, he added, ‘nobody in this field has a more complete model than I have proposed.’ These answers marked the start of a long term cooperation between an engineer (Van Hoof), a designer (De Koning), a geriatrician (Van der Plaats), and a philosopher (Verkerk). Also this cooperation was characterized by a catch ball process in which engineering models, neurological insights, and philosophical theories entered the arena to understand the complexity of this types of designs and to develop philosophical tools that were understandable for non-philosopher. The first fruit of this cooperation was the article ‘Developing an integrated design model incorporating technology philosophy for the design of healthcare environments: A case analysis of facilities for psycho-geriatric and psychiatric care in The Netherlands’ (Van Hoof & Verkerk 2013). Both stories have a lot in common. At first, they show that technological systems have become so complicated that engineers cannot anymore grasp the ‘complexity’ of their designs. [iv] Secondly, in the engineering practice of these scientists – both where specialists in their field – philosophy-based tools appeared not to be used. Thirdly, they support the idea that philosophical ideas and concepts have to be ‘translated’ into schemes, drawings, design questions, moral standards and values, check off lists, and design heuristics, in order to serve the design practice of engineers. Finally, they suggest that intensive dialogues are required to become familiar with non-technological ideas and philosophical concepts. It goes without saying that this dialogue is a challenge for all participants. On the one hand philosophical richness and strictness has to be maintained as much as possible, and on the other hand the vocabulary has to be understandable by engineers and the tools have to fit into their way of working. The Triple I model takes the user practice as a starting point. At the first glance, this starting point seems to speak for itself. However, on further consideration this starting point cannot be taken for granted. Firstly, despite all rhetoric about customer or user orientation, the engineering perspective has dominated the design process up till now. [v] Secondly, this starting point invites engineers to understand the requirements of different types of users in their own organizational context. [vi] A part of this work has been presented elsewhere (Ribeiro et al., 2010; Hoof et al., 2013, Verkerk, 2014). 1. Identity: identity or intrinsic values of the primary process. 2. Interests: inclusion of the justified interests of stakeholders. 3. Ideals: (hidden) ideals, dreams and values that co-shape the primary process. The ‘I’ of ‘Identity’ or ‘Intrinsic values’ refers to the specific character of the primary process of the user practice. The specific character of this process is based on the idea of the qualifying function of the theory of individuality structures (Dooyeweerd 1969: vol. III). On the first sight, a ‘smart grid is a smart grid’. However, from the perspective of the user this statement is too simple. After all, smart grids are used in quite different contexts, e.g. households and industrial enterprises. 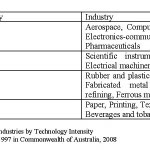 The theory of individuality structures (see below) shows us that the context of the household is socially qualified and the context of an industrial enterprise economically. As a consequence, the smart grid in an household has to support the social relations in that household and the smart grid in an industrial enterprise the economic functioning of that enterprise. It has to be noted that these differences in context are not primarily differences in size or something like that, but differences in the identity or nature of the user practice. Inherently, the intrinsic values of these user practices differ. The household is dominated by social values like mutual support and living as a community, and an enterprise by values like customer satisfaction, profit and sustainability. Consequently, the design of smart grids for households have to be disclosed by the values mutual support and living as a community, and the design of smart grids for industrial enterprises by an enterprise by values like customer satisfaction, profit and sustainability. The identity of long-term homes for elderly with dementia is quite different from that of smart grids. The meaning kernel of moral aspect is ‘caring for’. Therefore, the qualifying function of health care facilities is the moral aspect (Jochemsen and Glas, 1997; Jochemsen, 2006; Verkerk et al., 2007). That means, the long-term home has to be designed in such a way that it supports the care for elderly with dementia – if possible: evidence-based designs! Again, it has to be noted that the user context of long-term homes differ qualitatively from the user context of smart grids for households: morally qualified versus socially qualified. As a result, the design of long-term homes has to be disclosed by values like love, respect and closeness. The ‘I’ of ‘Identity’ or ‘Intrinsic values’ is comparable with the normative principle of ‘disclosure and intrinsic normativity’ as developed by Strijbos (Strijbos & Basden, 2006, p245-248), and the constitutive side as defined by the practice model (e.g. Jochemsen & Glas, 1997; Hoogland & Jochemsen, 2000; Jochemsen, 2006; Verkerk et al., 2007). This ‘I’ is also strongly related to the ideas of ‘inner goods’ and ‘excellence’ of MacIntyre (1981). In summary, the ideas of ‘identity’ and ‘intrinsic values’ urges the engineer to identify the specific nature of user practices. It invites the designer to make the intrinsic values explicit and to ‘translate’ these values in design specifications (or norms). The most important stakeholders of long-term housing for elderly with dementia are family, nurses, doctors, neighbourhood, owners, banks, insurance companies, local and national authorities. Also in this case, every stakeholders has its own justified interests. The idea of justified interests can be illustrated clearly in discussing the aesthetic aspects of the building. Who’s justified interests are at stake? Who decides? The architect? The owner? The patients? The family of the patients? The local neighbourhood? To answer this question I would like to return to the ideas of ‘identity’ and ‘intrinsic values’. The qualifying function of a long-term facility for elderly with dementia is the moral one. It is about ‘caring for’. That means, the aesthetic aspects has been designed in such a way that the care for the patients is supported as much as possible by the aesthetic design (disclosure). The building has to be – to use a buzz word – a healing environment. What about the owner? Isn’t his or her money? The justified interest of the owners is the return on investment over the lifetime of building and not whether or not ‘they like the building’. On top of that, when the aesthetic appearance strongly supports the way of living of elderly with dementia, the building will have a competitive advantage over other long-term facilities so that the risks of ‘empty beds’ and less income will be reduced. Finally, it is often claimed that one of the justified interests of an architect is the aesthetic appearance of the building. After all, it is an expression of his or her creativity. In addition, in architecture the judgments of peers about the design and the beauty of the building are considered to be very important. Based the idea of the identity of the facility and the intrinsic values I would argue that the justified interest of an architect is not in the beauty of the building but in designing a housing that supports elderly with dementia in their daily activities. Strijbos (Strijbos & Basden, 2006, p252-254) has developed the idea of ‘multi-actor activity’. It is not clear to me to what extent this idea corresponds with the proposed stakeholder approach that has an organisational background. 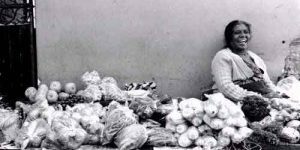 In the early formulations of the practice model the idea of justified interests of stakeholders was not present (Jochemsen & Glas, 1997; Hoogland & Jochemsen, 2000; Jochemsen, 2006). Later on, Verkerk et al. (2007) tried to incorporate these ideas in this model. In summary, the idea of ‘inclusion of justified interests of stakeholders’ opens the eyes of engineers for the diversity of stakeholders, makes them sensible for the their different interests, and offers arguments to judge their interests. The ‘I’ of ‘Ideals, dreams and values’ expresses basic beliefs about the good life; this ‘I’ is inspired by the theory of ground motives (Dooyeweerd 1969:vol I). These basic beliefs are intricately present in every user practice and co-shape technological designs. Generally, engineers are not aware of the presence of ideals, dreams and values. In their view, designing complex systems is a technological challenge. In the field of smart grids and renewable energy different basic beliefs play a role. At first, there is the ideal of freedom. Unlimited access to energy makes people free to live their own life. Secondly, the dream of control is present. People want to control nature so that energy is available at every time and every place when they need it. Finally, the value of sustainability is promoted. This value can have an economic motivation (to guarantee the free market), an ethical motivation (responsibility to next generations) and a religious motivation (stewardship). These ideals, dreams and values are intricately present in developing renewable energy and designing smart grids. They motivate engineers to do their job and influence the design. In the field of building long-term facilities for elderly with dementia values also play a very important role. The most important question is: What’s a good life for these patients? It goes without saying that an univocal answer on this question is not possible. It requires an in-depth insight in the perception of the environment of elderly with dementia. This perception is influenced by the phase of the illness, the personality of the patient and his or her religion or philosophy of life. Additionally, this ‘I’ also refers to ideals, dreams, and values that are brought in by different stakeholders. For example, health care institutions that commission a builder to build the housing, want to realize their mission and values also through the quality of their facilities. Insurance companies also want to have a say in the construction of long-term facilities. They are driven by both economic values as well as care values. 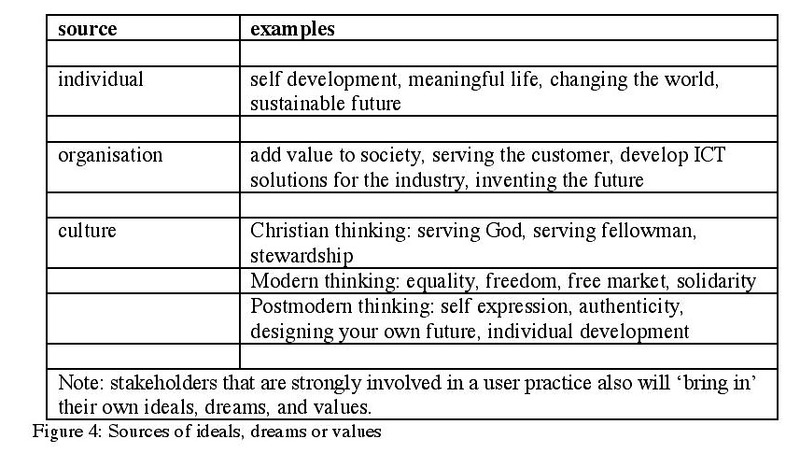 This short analysis shows that there are different sources for ideals, dreams, and values, see figure 4. All these ideals, dreams, and values influence the design in one or another way. This analysis shows that values intricately present in practices; both interwoven with each other as well as layered. The ‘I’ of ‘Ideals, dreams, and values’ is present in the systems approach, namely in the principle of the critical awareness of the socio-cultural context (Strijbos in Strijbos & Basden, 2006, p254-255). It is also present in the practice model, i.e. the directional component (Jochemsen & Glas, 1997; Hoogland & Jochemsen, 2000; Jochemsen, 2006; Verkerk et al., 2007). 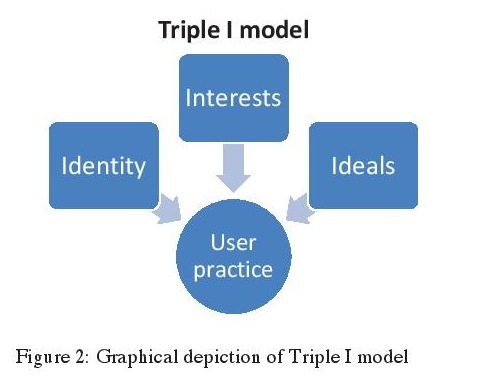 The Triple I model explicitly takes the organization context as a starting point and distinguishes between different sources (individual, organisation, culture). 1. Theory of the many aspects. [ix] This theory reveals the different aspects of technological designs. It prevents engineers to reduce the user practice to technological categories and urges them to ask new questions. 2. Theory of individuality structures. This theory supports engineers in understanding the identity and intrinsic values of the user practice. 3. Additional tools. These tools support engineers in investigating specific aspects of the user practice, designing new products, and evaluating different designs. This theory offers another perspective to draw up the design specifications for complicated designs. Figure 5 shows how such an analysis can be done for building long-term facilities for elderly with dementia. The first step is to gain insight in the neurological processes of the brains of older persons with dementia. After that, these insights have to be related to the experience and behaviour of older persons with dementia. Then, the question has to be asked how the different aspects of a building have to be developed in order to support the daily living of these patients. Finally, this results in a multi-aspectual design specification. Information processing of older persons with dementia is quite different from healthy adults. The most important difference is that the capacity to process complex stimuli decreases in course of the disease. Schematically, the human brain consists out of an emotional and a cognitive layer. Neuroscience has shown that the cognitive layer is necessary to analyse complex situations and to evaluate behavioural alternatives. People with dementia, however, are mainly dependent on processing of the emotional brain. They cannot analyse complex situations and cannot evaluate behavioural alternatives. Therefore, the whole environment has to be designed in a such a way that complex situations do not arise and an evaluation of behavioural alternatives is not required. However, when these conditions are not met, the emotional brain cannot handle the larger number of stimuli and ‘orders’ the body to fight or to flight. These fight or flight reactions are interpreted by the environment as ‘problematic behaviour’. These types of insights influences every aspect of the building and its furnishing: from the arithmetic aspect up to the pistical aspect. I would like to give one example. How to design a chapel for patients with dementia? How can the construction and its furnishing support spiritual experiences of elderly with dementia? Two insights from the neurosciences are very important. First, patients have to be brought in a relaxed state. At a low level of stress, it is possible to use the cognitive brain to support higher functions, e.g. spiritual experiences. A relaxed state only can be realized when the design of the chapel is simple and surveyable, and gives of a low level of stimuli. Note: a low level of stimuli is required to prevent fight of flight behaviour. Second, patients with dementia can only handle dynamic stimuli. Therefore, dynamic stimuli have to be introduced that stimulate spiritual experiences. Examples of dynamic stimuli are a moving cross, a flickering candle, or religious music. All these stimuli have to be given ‘one at a time’ to prevent overload of the emotional brain that results in fight of flight behaviour. Third, the memory ‘reverses’ to his or her youth and early adulthood. As a consequence, the choice of the design, attributes and music has to be in agreement with the religious culture of the youth and early adulthood of the patients. In summary, the theory of the many aspects urges engineers to go beyond the technological aspects of their designs and to broaden their outlook to all (relevant) non-technological aspects. Especially, this theory can be used as a ‘check off list’ to ask questions and to address all aspects in the specification of a new design. This idea many aspects and their normativity is also present in the systems approach in the principle of ‘simultaneous realization of norms led by a qualifying norm’(Strijbos in Strijbos & Basden, 2006, p248-252). The Triple I model also presupposed the theory of individuality structures (Dooyeweerd 1969:vol. III). The theory of the modal aspects describe the different aspects in which things, wholes or concrete structures function. The theory of individuality structures describe the own nature or identity of these structures. Typical societal structures in which humans function and develop themselves are families, schools, labour, politics, entertainment, and churches. All these structures have an own identity or individuality as expressed by the so-called qualifying function: social, formative, economical, juridical, social, and pistical, respectively. In all these societal structures technology only will function adequately when is it disclosed under the guidance of the quality function of this structure. For example, smart grids have to be disclosed under guidance of the social qualifying function for households and the economic qualifying function for industrial enterprises. Long-term homes for elderly with dementia have to be disclosed under the guidance of the moral qualifying function. 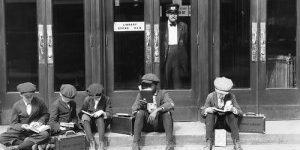 The theory of the individuality structures is required to understand the nature and character of the context in which technology is used. It is also required to understand that the identity of technology is not determined by technology itself but by the nature of the societal structure in which it functions. (Verkerk et al, 2007, p118-122). In recent years, a number of general tools are developed that support designers. For example, User Driven Innovation presents theories and approaches to invite users as co-designers (Abel et al. 2011, Dijk et al. 2011), Social Return on Investment maps the societal business case of new innovations (www.socialevaluator.eu), and the Canvas model supports the development of new business models (Osterwalder & Peigner 2010). In addition, every discipline has its own methods and techniques for designing technology. All these methods and techniques can be used in close connection to the philosophical tools presented in this paper. 1. Engineers experience that the complexity of designs can be unravelled by using these tools. 2. Engineers learn that complex design never can be grasped in simple models. As a result, they have resigned themselves in the fact that it takes time to understand the tools and to learn how to apply them. 3. Engineers experience that the identity of technology is not determined by technology itself but by the nature of the user practice. For most of them, this experience is an eye-opener. 4. Engineers experience the idea of the many aspects as a breakthrough in thinking. Intuitively, they analyze some aspects but forget others. 5. Engineers experience the distinction between justified and not-justified interests as a revelation. In practice, they base their decisions on intuition and not on philosophical analysis. 6. Finally, engineers get the feeling that they get more grip on ideals, dreams, and values and their influence on designs. To illustrate these findings I like to tell a short story. This model has been presented by Paulo Ribeiro to a committee of the European Union about smart grids. The leader of this committee complimented Ribeiro with the words: ‘Now I understand a bit more the implications of complexity of smart grids and why the design of these systems is such a challenging job’. The paper started with the observation that nowadays engineers often cannot oversee the complexity of their designs. Better tools are needed to cope with this situation. The Triple I model presented in this article has demonstrated its value in different technological contexts: health care, internet portals, architecture, and smart grids. The model addresses the challenges formulated in the introduction. Firstly, the name ‘Triple I’ sounds right, expresses simplicity, and arouses curiosity. The model easily can be visualised in figures and tables. The next step is to make the visual representations perfect by professional designers. Secondly, it guides engineers through the complexity of design processes by distinguishing three different perspectives: Identity, Interests, and Ideals. Additionally, it proposes a number of tools to support the design process. Finally, it opens the eyes of engineers for the existence different user contexts and the influence on the design process. It also invites the engineer to pay attention to the organizational embedding of the user. I would like to thank the reviewers and editors for their constructive criticisms. iii. Philosophers easily undervalue the importance of an appealing model. The main reason is that they concentrate on the content and forget that their ideas only will have impact when they are marketed well. Marketers, on the other hand, focus on selling ideas. They believe that good products need an appropriate imago and well-designed packaging. iv. It has to be noted that engineers use the word ‘complexity’ in different ways. On the one hand, they use this word for existing knowledge in their own field, like the interaction of different components, modules, and technologies. On the other hand, they use this word for knowledge of other disciplines that is not (yet) available, like ethics and marketing. v. In certain engineering quarters the perspective of the user has recently been (re)discovered as a key factor in the design process (Buxton, 2007; Abel et al., 2011; Dijk et al., 2011). vi. It has to be noted that the practice model focuses on the characteristics of professional practices and does not address explicitly the different types of users. In addition, it does not take into account the organisational context of these different users. For example, internet portals in health care are used by different kinds of users, e.g. patients, professional, and (administrative) staff. Each of these users have specific requirements and operate in different organisational contexts. Engineers that design internet health care portals have to cope with these specific requirements and different contexts. In systems thinking, ‘customers’ and ‘actors’ are explicitly identified (the ‘C’ and ‘A’ of ‘CATWOE’). Rightly, Strijbos (Strijbos & Basden, 2006, p252) points out that disclosure of new possibilities in developing technology is a multi-actor activity. vii. I prefer to use the word ‘perspective’ to indicate that a certain point of view is chosen to investigate the practice. Each perspective reveals a different type of ‘complexity’ that strongly determines or has to determine the design process. viii. Personal communication Paulo Ribeiro. ix. The Triple I model presupposed the theory of modal aspects (Dooyeweerd 1969:vol. II). In communication with engineers the word ‘modal’ raises too many questions, therefore the expression ‘theory of many aspects’ is used. Abel, B. van, Evers, L., Klaassen, R. & Troxler, P. ( 2011). Open Design Now: Why Design Cannot Remain Exclusive. Amsterdam: BIS Publishers. Basden, A. (2008). Philosophical Frameworks for Understanding Information Systems, Hershey PA: IGI Publishing. Burken, C. van, & Vries, M.J. de (2012). Extending the theory of normative practices: an application to two cases of networked military operations. Philosophia Reformata, 77, 135-154. Buxton, B. (2007). Sketching User Experiences. Getting the design right and the right design. New York: Kaufmann. Dooyeweerd, H. (1969). A New Critique of Theoretical Thought. The Presbyterian and Reformed Publishing Company. Durmisevic, S., & Ciftcioglu, Ö. (2010). Knowledge modelling tool for evidence-based design. Health Environments Research and Design Journal, 3(3), 101-123. Dijk, D. van, Kresin, F., Reitenbach, M., Rennen, E. & Wildevuur, S. (2011). Users as Designers A hands-on approach to Creative Research. Amsterdam: Waag Society. European Commission (2010). Energy 2020: A strategy for competitive, sustainable and secure energy. COM(2010) 639 final. European Commission (2011). 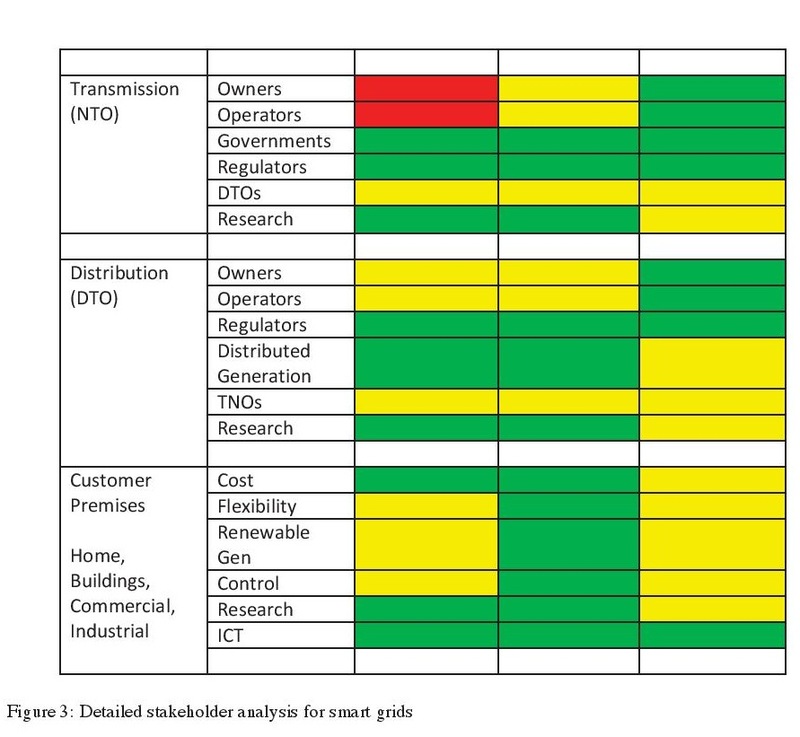 Smart Grid Projects in Europe: Lessons Learned and Current Developments. The Hague: Institute of Energy. European Electricity Grids Initiative (2010). Roadmap 2010-18 and detailed implementation plan 2010-2012. Freeman, R.E. ( 2001). 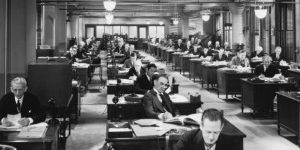 The Stakeholder Theory of the Modern Corporation. In Beauchamp, T.L. & Bowie, N.E., 6th ed., Ethical Theory and Business, pp56-65. New Jersey: Prentice Hall. Hoof, J. van (2010). Aging-in-place. The integrated design of housing facilities for people with dementia. Thesis. Technical University Eindhoven. Hoof, J. van & Verkerk, M.J. (2013). Developing an integrated design model incorporating technology philosophy for the design of healthcare environments: A case analysis of facilities for psychogeriatric and psychiatric care in The Netherlands. Technology in Society, 35(1), 1–13. Hoogland, J. & Jochemsen, H. (2000). Professional autonomy and the normative structure of medical practice. Theoretical Medicine and Bioethics, 12, 457-475. Huisman, E.R.C.M., Morales, E., Hoof, J. van, and Kort, H.S.M. (2012). Healing environments: a systematic review. Building and Environment, 58, 70-80. Jochemsen, H. & Glas, G. (1997). Responsible medical care (in Dutch). Amsterdam: Buijten & Schipperheijn. Jochemsen, H. (2006). Normative Practices as an Intermediate between Theoretical Ethics and Morality. Philosophia Reformata, 71, 96-112. MacIntyre, A.C. (1981). After Virtue. A Study in Moral Theory. London: Duckworth. Monsma, S.V., Christians, C., Dykema, E.R., Leegwater, A., Schuurman, E. & Van Poolen, L. (1986). Responsible Technology. A Dooyeweerdian Perspective. Grand Rapids: William B. Eerdmans. Osterwalder, A. & Peigner, Y. (2010). Business model generation. New York: Wiley. Ribeiro, P.F., Polinder, H. & Verkerk, M.J. (2012). Planning and designing Smart Grids: Philosophical Considerations. IEEE Technology and Society, 31(3), 34-43. Strijbos, S. & Basden, A. (eds) (2006). In search of an Integrative Vision of Technology. Interdisciplinary Studies in Information Systems. New York: Springer. Ulrich, R.S., Zimring, C., Barch, X.Z., Dubose, J., Seo, H-B., Choi, Y-S., Quan, X., and Joseph, A. (2008). A review of the research literature on evidence-based healthcare design. Health Environments Research and Design Journal, 1(3), 61-125. Ulrich, R.S., Berry, L.L., Quan, X., & Parish, J.T. (2010). A conceptual framework for the domain of evidence-based design. Health Environments Research and Design Journal, 4(1), 95-114. Verkerk, M. J., Hoogland, J., Stoep, J. van der & Vries, M.J. de (2007). Thinking, Designing, Making. Philosophy of Technology (in Dutch). Amsterdam: Boom. Verkerk, M.J. (2014). A philosophy-based ‘toolbox’ for designing technology. The Conceptual Power of Dooyeweerdian Philosophy. Accepted for publication, Koers. Bulletin for Christian scholarship. Vries, M.J. de (2006). Ethics and the Complexity of Technology: a Design Approach. Philosophia Reformata, 71(2), 118-131. Zimring, C., Bosch, S. (2008). Building the evidence base for evidence-based design. Editors’ introduction. Environment and Behavior, 40(2), 147-150.